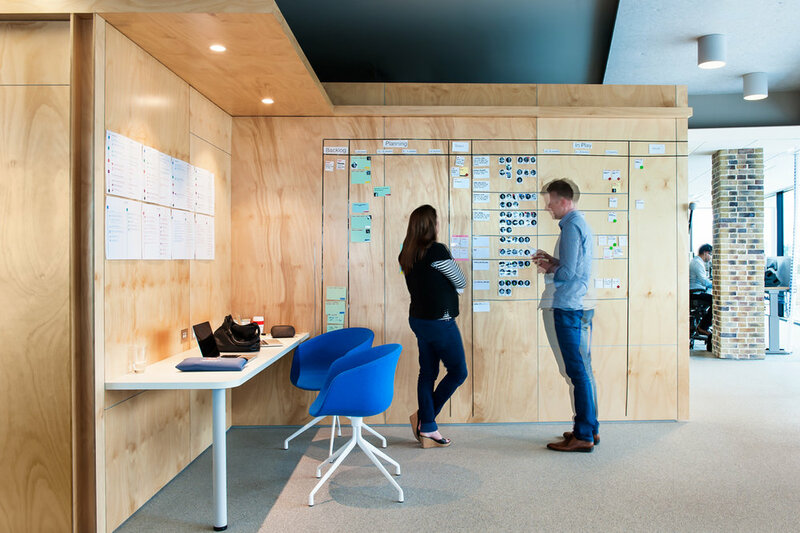 Workplace strategy and its intersection with technology, people and physical space. A compelling workplace strategy can deliver significant competitive advantages for a business and its goals around productivity, engagement and profit. We understand that a multitude of factors, such as innovation, disruption, risk and technology, is making it increasingly difficult for organisations to plan their workplaces for the future. That’s why we offer FutureVision™ to help organisations apply futurist principals to workplace design and its intersection with technology, people and physical space. In the past organisations were able to predict with confidence their future staffing numbers and what their workplace needs would be, often up to five to 10 years ahead. However, this is no longer the case. With lease agreements of 10, 15, 20 years or more and the rate of change we’re experiencing, making decisions around how your organisation will work and your employees’ needs is becoming more challenging. The ‘uberisation’ of space by paying for what you want when you want it with an increase in short term and coworking spaces. The way we visualise and connect in the workplace will be impacted by technology like VR (virtual reality) and AR (augmented reality). The development of hybrid workplace models that bring some of the advantages of agile working without adoption of a full activity based work environment. The impact of the ‘internet of everything’ – the connection of many elements in the workspace electronically so the building can respond to its users’ needs in a more intuitive way. The closing gap between the quality of connection you can have with other people physically versus virtually / electronically. Take a look at FutureVision™ and our portfolio of services including existing workplace evaluation, future workplace strategy and workplace design implementation.